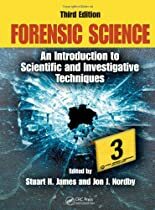 Now revised and updated, this comprehensive work, long considered the top textbook in the forensics field, reaches far beyond the scope of those introductory texts that concentrate primarily on criminalistics. Covering a range of fundamental topics, it introduces newcomers to the field while providing the technical detail necessary to understand the field as a science. To this end the book is compatible with CRC lab manuals, including Forensic Science Laboratory Manual and Workbook, Third Edition (87193) and Crime Scene Processing and Laboratory Workbook (85425). An instructor’s guide with objectives, questions and answers, suggested activities, and material in electronic format is available upon qualifying course adoption.